SCARY MONSTER MAGAZINE SPECIAL #1 A LOOK BACK AND MORE! 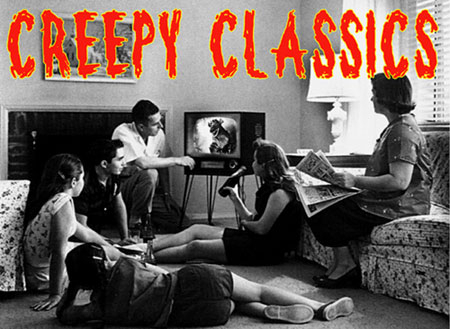 is "THE PERFECT CREEPY COMPANION BOOK/MAGAZINE TO...SCARY 80! This special 20th Anniversary Special! features a "LOOK BACK" at the first 20 issues of SCARY MONSTERS and the first 4 issues of the MONSTER MEMORIES YEARBOOKS as well as more coverage of THE BRAIN THAT WOULDN'T DIE and much more. This 64 page book/magazine is limited to only 200 copies in our limited edition perfect bound format.